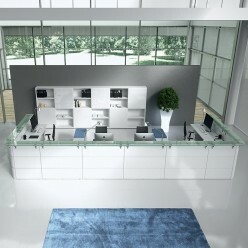 This reception desk range is strategically important for any modern-day company. 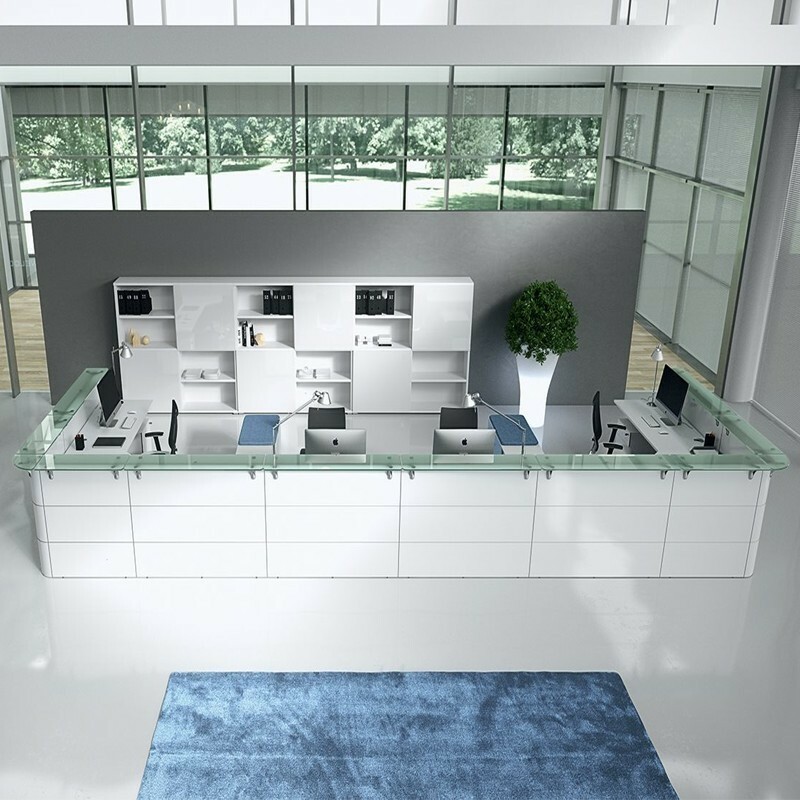 It is a place that must fulfil the widest range of requirements, immediately providing, in a sensational and appealing way, an atmosphere of work, furnishings and architecture. The Calandra collection combines refined simplicity and versatility to convey a unique style every time, in any situation, via all the senses.